Square Enix just kicked off a Final Fantasy 30th anniversary exhibit in Tokyo. Among the displays was this Tidus and Yuna character art. 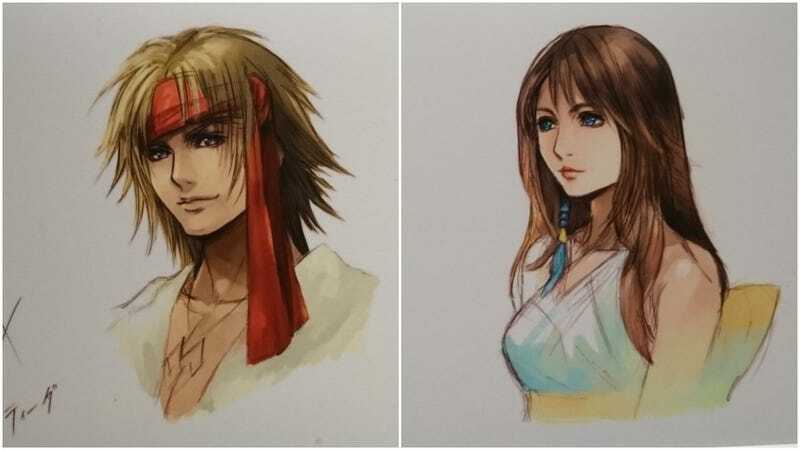 The art might look familiar, because black and white versions of these Tetsuya Nomura character designs, as well as ones for Chuami and Kurgum, were included in the Final Fantasy X | X-2 HD Remaster’s credits and bonus audio disc. That was in 2013. Now, in 2018, the designs are back, but this time they are being shown in color for the first time, specifically for this exhibition. Yeah, yeah, that’s technically FFX-3, but that’s what Square Enix says! Is This the Worst Video Game Laugh Ever? Maybe!